We’re passionate about Bristol. We believe it’s a city that deserves international recognition for its amazing culture. That’s why we’ve been working with Upfest — Europe’s largest free street art and graffiti festival — for over five years. We’ve bought regional, national and international broadcasters along to a reasonably out of the way corner of Bristol to experience sheer creative buzz, opening up partnerships that have forged a truly international reputation — Snapchat, The Huffington Post, Sky News, BBC Breakfast, Good Morning Britain and all the major broadsheets to name but a few. 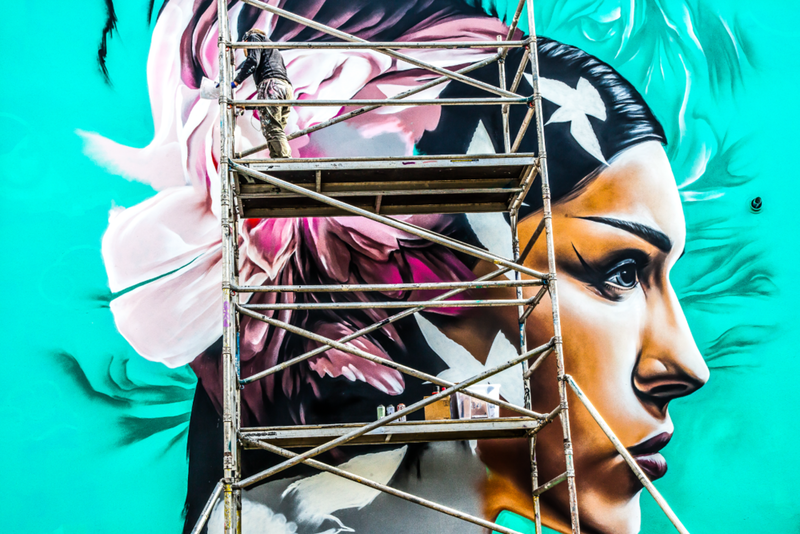 In 2018, over a thousand global street artists have applied to be part of Upfest; audience numbers have increased by almost 20% year-on-year. We think Upfest is an event that reflects Plaster’s core ethos — international ambition with local authenticity. Plaster have facilitated a huge growth in our media reach. In 2017 it was in excess of 450 million - for a medium-sized festival that's outstanding... But stats aside, Plaster’s real talent is the commitment to our brand, with every member of their team going above and beyond.